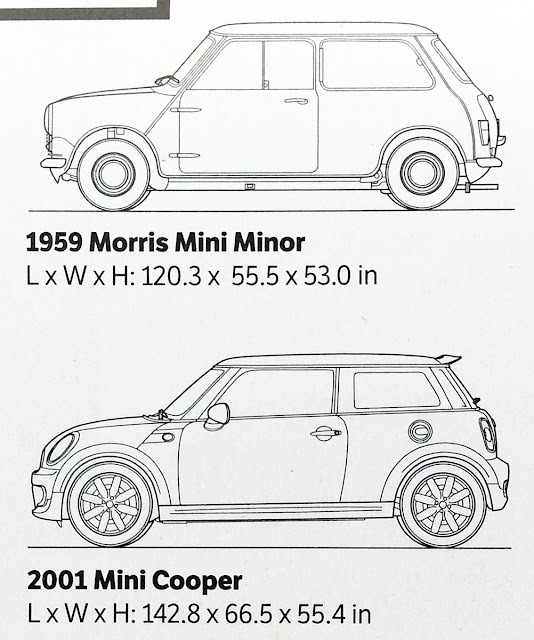 NorCal MINIS | Northern California's Premier MINI Cooper Club: My, How You've Grown! 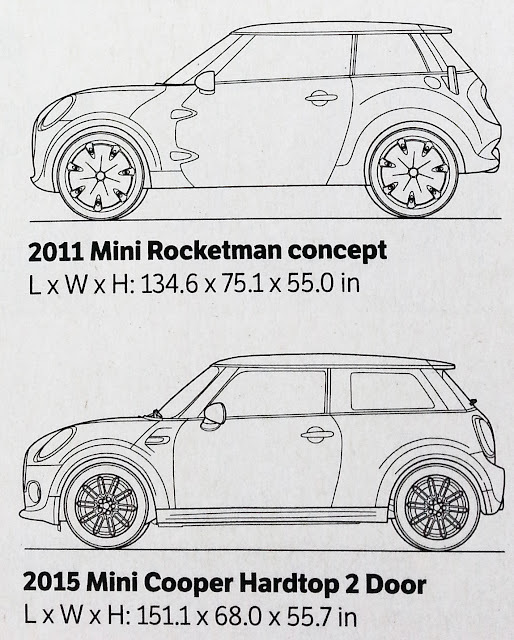 Just A Car Guy provides an interesting three infographic comparison of the size of the MINI over the years. Here are the beginning and ending graphics. "Clubman Shows Just How Maxi Brand Has Become"
"Hands On With The 2016 MINI Clubman"
Carbon Fiber Components Coming To MINIs? "When You've Got Nothing To Prove"
Sign Up For Your MINI VR Goggles! ". . . The ‘Baja Poland King’"
" . . . Not Naughty Enough"